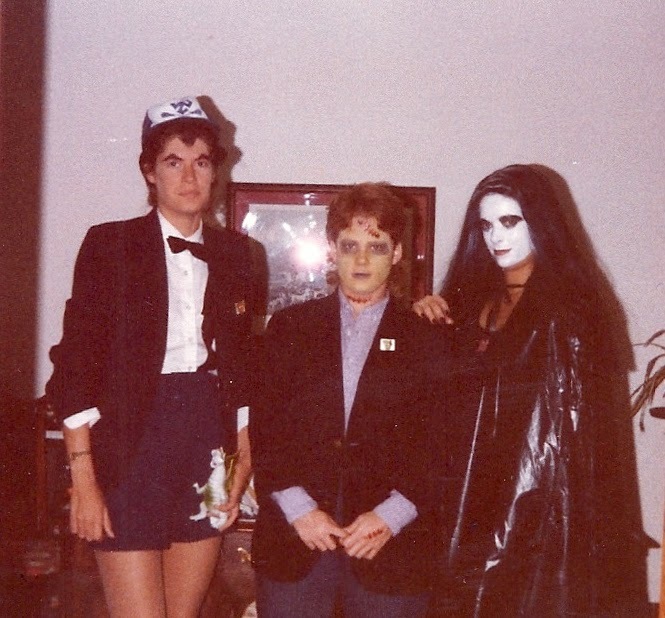 Happy Halloween from The Munsters, otherwise known as the 1981 Personnel Department (long before "human resources" became the popular term) of Virginia Federal Savings & Loan. That's me dressed as Little Eddie, my BFF, Liza, as Herman & Nannette as .... either Grandpa or Lily. I can't remember who she was supposed to be & her hair looks like Lily but she's dressed like Grandpa.